Jane has been practicing law since 1985. Jane has been AV rated in Martindale Hubbell since inclusion. She has been listed in The Best Lawyers in America since 1995 and in Missouri & Kansas Super Lawyers Magazine from 2005-2014. In 2015 Jane was named by The Best Lawyers in America “Franchise Lawyer of the Year” in St. Louis. In 2010, she was listed as one of the top 50 Women lawyers in Missouri by Missouri & Kansas Super Lawyers Magazine. Jane has always focused her practice on general business matters including litigation with concentrations in franchise/dealer law and real estate law. Jane also regularly serves as an arbitrator and mediator in commercial, construction, and employment matters. 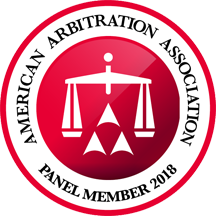 These include being an arbitrator for the commercial and construction panels (including large and complex cases) for the American Arbitration Association; serving as an arbitrator and mediator for Aequitas Alternative Dispute Resolution; conducting employment mediations for the Equal Employment Opportunity Commission (EEOC); conducting foreclosure mediations for the Residential Foreclosure Mediation Program in Madison County, Illinois; serving as a neutral for the U.S. District Court for the Eastern District of Missouri; and serving as a mediator for disputes pending before the Circuit Courts for the City and County of St. Louis.